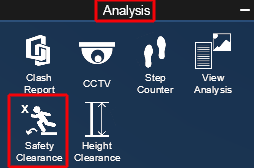 Step 1: Go to "Analysis" tab and click "Safety Clearance". This value defines the height at which a barrier would be of sufficient height. The report will calculate every X amount set by the user. User can set the height of an average worker. 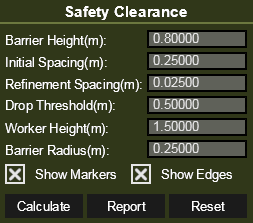 "Calculate" allows user to calculate a Heigh Clearance report. "Report" button allows users to create an html report with all information from the calculated results. "Reset" clears the parameter values so that user can enter new data to create a new report. 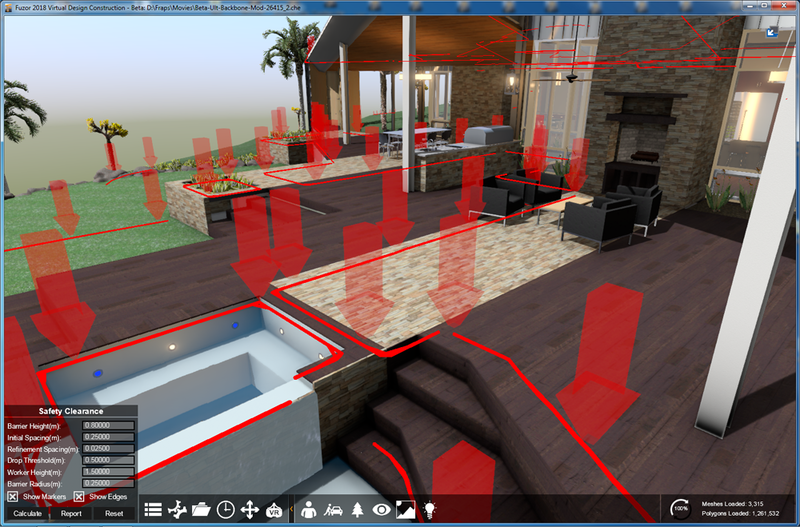 Step 3: Navigate and observe the safety issues. Note: Below is an example of an item on the report.